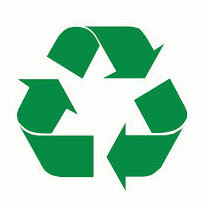 Home News Latest Waste Recycling Rates Peak at 88%! Latest Waste Recycling Rates Peak at 88%! Together with our clients, we have achieved an Annual Recycling Rate of 80% for the financial year ending 31st March 2014. This impressive performance has resulted in over 84 tonnes of waste being diverted away from landfill during that period. Throughout July, August, September and October we have managed to improve our performance to 88% Recycling rates for that period, by reusing and recycling over 23 tonnes of waste that would otherwise have gone to Landfill. We shall continue to strive to improve our performance in this important area and publish our progress.